or hardship, as a flood, airplane crash, or business failure. 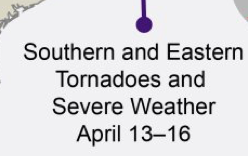 A disaster is an "event," not a "series of events." Please note the definition uses as an example "a flood," not a "series of floods." The National Oceanic and Atmospheric Administration (NOAA) issued more global warming propaganda earlier this week in the form of another of its Billion Dollar 'Disaster' Maps. By any definition of the word, "disaster," the map is nothing but global warming propaganda. A "disaster" is a singular, distinct event. 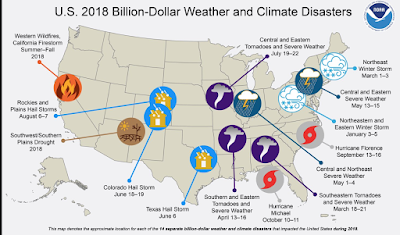 It is most certainly not a bunch of unrelated storms (that don't even make the grade to be called a tornado "outbreak") grouped together solely for the purpose of calling it a "billion-dollar disaster," so they can be put on a map created for a press conference. 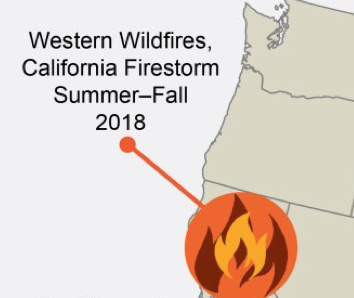 Summer fires + Autumn fires + California fires ≠ A "Disaster." Yes, California's "Camp" Fire was a billion-dollar disaster and, by itself, is appropriate to put on the map. But, it is not correct to throw in two seasons' fires along with it. 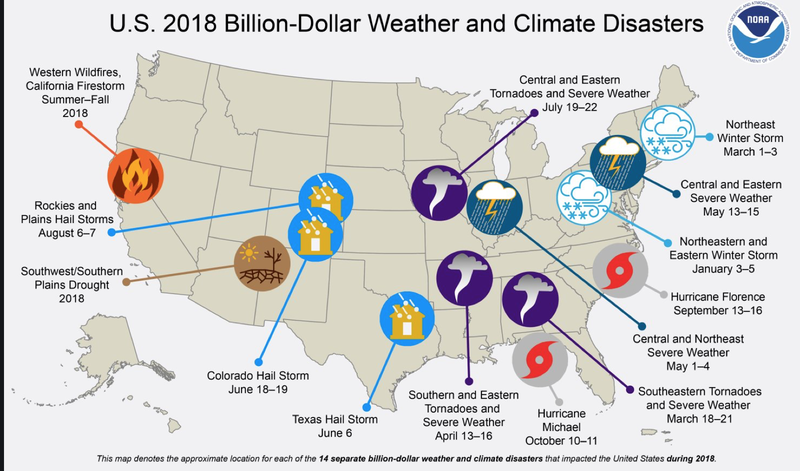 By grouping these together and calling them a "disaster," NOAA can make the dubious claim the cost of disasters rises annually due to global warming. More: Since when do hail storms last two days and cover vast geographic regions? This map is bad science and bad climatology. NOAA should withdraw it. Unscientific advocacy is why many people believe global warming -- a genuine problem -- is fake news.